Extreame Savings! 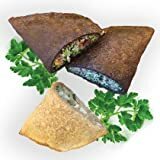 Up to 42% off on Appetizers & Snacks at Love for Salad. 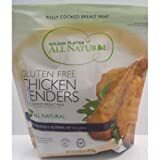 Top brands include Tonya's Gluten Free Kitchen, McCain, J and J Snack, Golden Platter, Harbor Seafood, Ultimate Deluxe Dumplings, & Kim and Scotts Gourmet Pretzels. Hurry! Limited time offers. Offers valid only while supplies last. 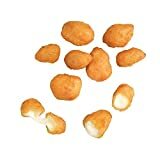 McCain Anchor Breaded Natural Cheddar Nugget - Appetizer, 3 Pound -- 6 per case. 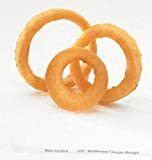 McCain Golden Crisp Fryersaver Battered Natural Onion Ring, 2.5 Pound -- 6 per case. 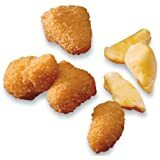 McCain Anchor Breaded Natural White Cheddar Cheese Nugget - Appetizer, 3 Pound -- 6 per case. 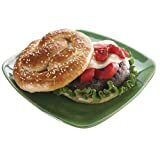 Bavarian Bakery Gourmet Pretzel Roll Medium Whole Grain, 2.2 Ounce -- 120 per case. 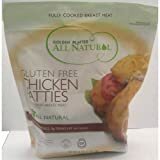 Miss Sallys St Jacque Raw Natural Scallop in Shell Appetizer, 6.25 Pound - 1 each. 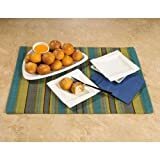 McCain Brew City Cheddar Cheese Curd Pint - Appetizer, 3 Pound -- 4 per case. 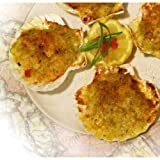 Miss Sallys St Jacque Raw Natural Scallop in Shell Appetizer, 2.11 Pound -- 2 per case. 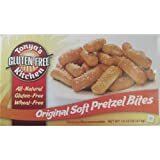 Kim and Scotts Classic Bavarian Pretzel Bites, 0.8 Ounce -- 200 per case.